Doug is a graduate of Wheaton College, Gordon-Conwell Theological Seminary, and Harvard University. Jeanie holds master's degrees from Fuller and Gordon-Conwell seminaries. 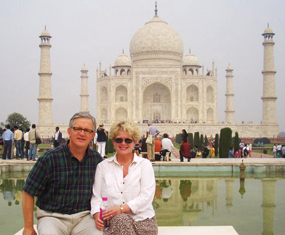 Doug and Jeanie Birdsall have served as missionaries with Asian Access since 1980. They joined the mission, which was known then as LIFE Ministries, shortly after graduating from Gordon-Conwell Theological Seminary in the summer of 1979. They arrived in Tokyo on January 12, 1980. Stacia Beth, their first child, was born twelve weeks later on the fifth of April. Japan was home for the Birdsall family throughout the eighties. 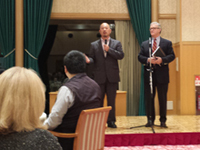 During their first term, Doug and Jeanie were involved in student ministry in Tokyo. Following a year of studies at Harvard during their first home assignment, the Birdsalls returned to Japan to lead a church planting team on the west side of Tokyo. Doug also assumed responsibilities as the director of the missionary staff in Japan in 1985. Judson joined the family on October 4, 1982. Jessamin arrived on March 30, 1987. All three of the children were born in the same room of the Seventh Day Adventist Hospital in Tokyo. 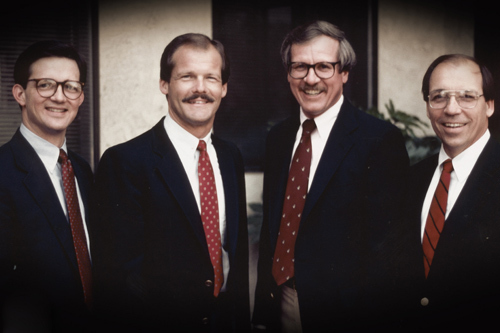 In June of 1991, Doug was appointed to serve as the president of the mission. This appointment placed them in Pasadena, California until the summer of 1994. Upon returning to Japan, work was begun to re-organize the ministry to focus primarily on leadership development and church planting. Two years later, the work of the mission began to expand beyond Japan began with the pilot project of Asian Access in Mongolia. Doug and Jeanie and their children returned to the States in 1999. At that time, the work of the ministry in Japan was entrusted to Japanese leaders. In the years since 1999, the work of Asian Access has also been established in China, India, Sri Lanka, Nepal, Cambodia and Myanmar. Plans are in place for the establishment of leadership training in twelve additional countries across Asia over the course of the next six years. Throughout their years of service with Asian Access, Jeanie has been involved in many dimensions of ministry in Japan and in the States. She has enjoyed teaching the Bible and mentoring women in the communities where they have lived. During her years of raising a family and serving the mission, Jeanie has also earned graduate degrees at Fuller Theological Seminary and at Gordon-Conwell. The Birdsall’s three children, who were raised in Japan, are now young adults. Stacia completed her university studies at Princeton University in 2002 and her nursing school training at Yale in 2006. She is a nurse-midwife in New Haven, CT. Judson earned undergraduate and graduate degrees at Wheaton College and now serves in the Office of International Religious Freedom at the U.S. State Department. After graduating from high school, Jessamin spent several months studying in India and is currently in her sophomore year at Harvard University. The Birdsalls have cherished their years as part of the Asian Access mission family. They look forward to remaining a part of the community through service on the Board of Directors and as missionaries who will be on special assignment to the Lausanne Committee for World Evangelization. In 2004, Doug was installed as the Executive Chair of the Lausanne Committee for World Evangelization. Doug is presently working to complete his doctoral dissertation at Oxford Mission Study Centre. Since 1999 Doug has also served as the founding Director of the J. Christy Wilson, Jr. Center for World Missions at Gordon-Conwell Theological Seminary. At Asian Access’ fall board retreat, Doug Birdsall shared the powerful story of how the 2020 Vision for Japan emerged. Listening to Doug share is always an inspiration! He spoke about how he was sensing the Lord might be calling him away from the mission of Asian Access—but one night woke up and all he could see and hear was the phrase “Plant Churches… Plant Churches… Plant Churches…” over and over again! 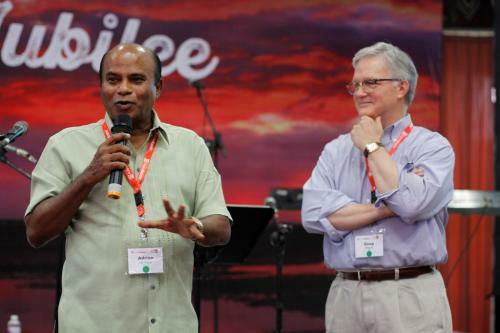 Pro-active evangelism vision takes on fast growing church in Asia. 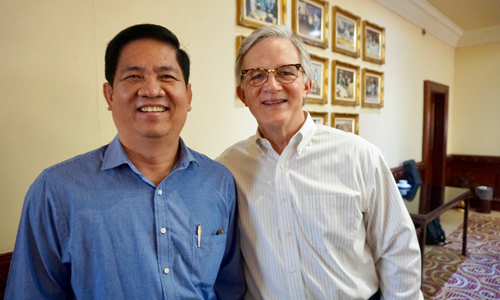 We are serving with Asian Access because we sense it's strategic importance in world evangelization. Asian Access is a mission focused on evangelism and church multiplication in Japan and across Asia. 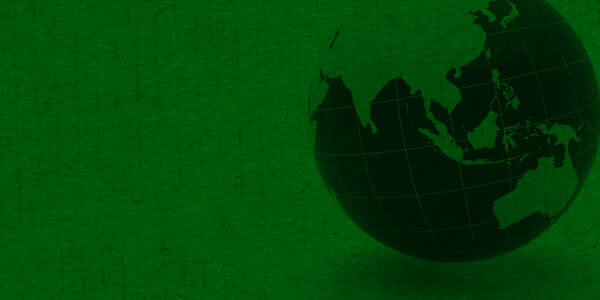 Its primary strategy is the training and development of premier emerging pastoral leaders in twenty countries across Asia.